SOLD! Buddy Male CKC Havashu He’s As Handsome As They Come! Meet Buddy! He is as handsome and loving as they come. Buddy will be sure to win your heart over with just one look. This little pup is always up for anything. He loves to play with toys. When he is all done with playtime, he will be the first one to curl right up to you for a good, old afternoon nap. Buddy will be coming with a lifetime of love and puppy kisses just for you. Don’t miss out on this lovable, handsome boy. He will surely be the perfect puppy addition to your family! 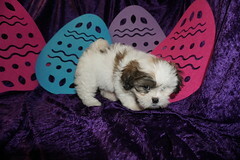 SOLD: CONGRATULATIONS FERREN FAMILY on your 2nd puppy from TLC Puppy Love! Waiting on my new name and my new home is Jacksonville FL. Buddy is the cutest little guy. He is one of three males in this litter of four. Just look at his gorgeous white body and one brindle marking on his right eye he is solid white except for one small spot on his back and base of his tail. He is so adorable with his special markings and his adorable short stocky build and full tail make him irresistible. Buddy is a male CKC HavaShu (that is a Havanese & Shih Tzu mix) His mommy Lily is a Shih Tzu is 12 lbs and Havanese Daddy is 8 lbs. 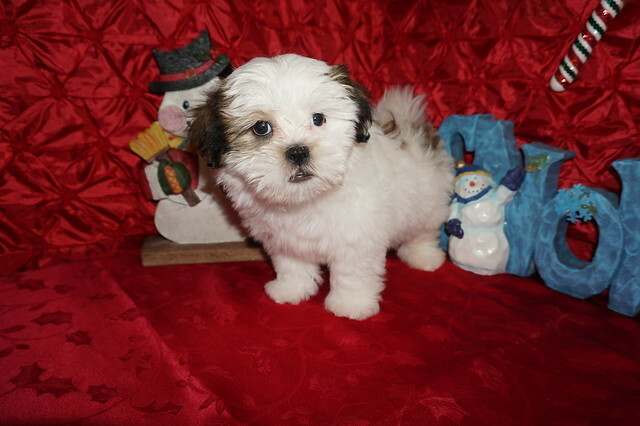 He is toy size so estimated adult weight is 8-12 lbs unlike regular Havanese that weigh 18-22 lbs He is the cutest baby guy who is ready to steal your heart! Place $200 non refundable deposit today to claim him as yours. For Balance and using Paying financing 6 months same as cash I have to send aryou a invoice for you to use option 0% financing. 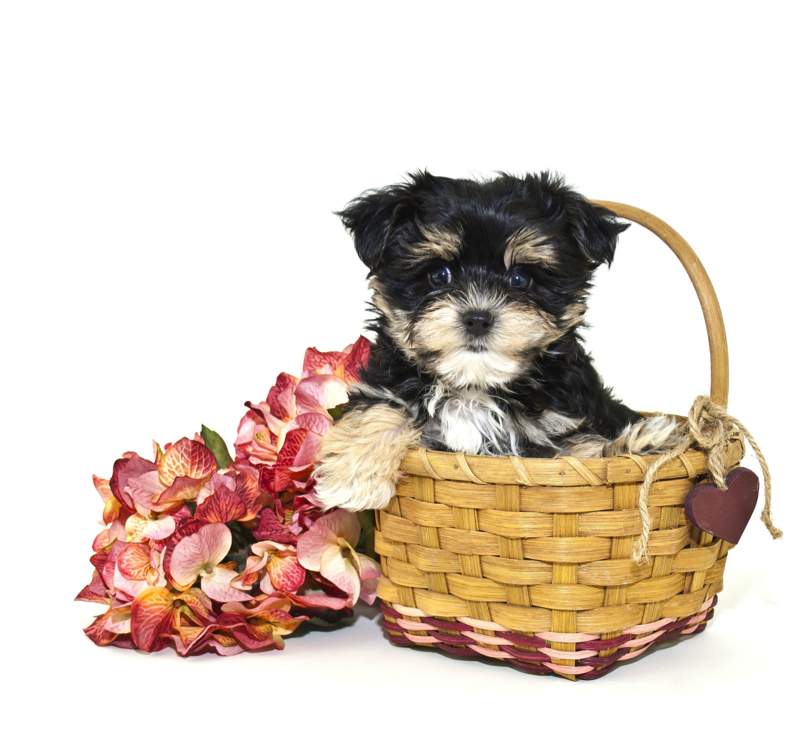 But they charge me a fee so the puppy fee is not the cash price but credit card price. « SOLD! Buster Male CKC Havashu He’s Eagerly Waiting To Meet You!